One of the most pervasive myths surrounding protein powders is that COOKING protein powder IRREVOCABLY DAMAGES it because it DENATURES it. It’s incredible, the sheer power of the idea that, by denaturing protein powder (i.e. by baking or cooking it in any form), the protein becomes ‘damaged’ and useless. I’m sure you’ve run into this idea before. I know I have, more times than I can remember! The answer to the question of “does heating or cooking protein powder ‘damage’ it?” is: NO. The protein doesn’t get ‘damaged’; our bodies absorbs the exact same amino acids from the protein whether we cook it or not. Though baking alters the structure of the protein (yes, it does ‘denature’ it), its nutritional value remains unchanged. 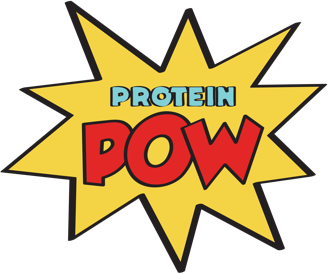 Think about this: proteins are basically chains of amino acids that, when heated, can change their conformation (i.e. their structure). When you eat the protein, its molecules are broken down into individual aminos and are then brought together in your cells becoming a source of dietary protein. Cooked or uncooked, your body absorbs the protein anyway. Do we see the protein in eggs as somehow ‘damaged’ by cooking? We don’t – even though, in reality, heating the egg’s protein ‘denatures’ it too, i.e. it changes the naturally occurring amino acid configuration of the egg! The great folk at Tera’s Whey even asked the University of Wisconsin’s Center for Dairy Research about baking with protein powder, to put the matter – once and for all – to rest as this was a question that they too were getting fairly often. Here’s what they had to say “… whey may also be used in baked products to add additional nutritional benefits….In general, protein solubility is affected by heat and most foods are heat-processed, whether it involves baking bread, cooking caramel, or retorting soup for preservation purposes…. During baking, some of the proteins may become denatured but as this is a structural change, the nutritional content of the whey remains and thus provides essential amino acids which are part of a healthy diet. ” (UW Center for Dairy Research, from Tera’s Whey Focus Group, 2012). Click here to join the conversation!